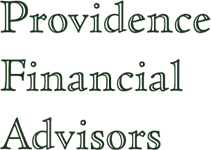 Steve founded Providence Financial Advisors, LLC to provide individual clients and small business the same level of investment management services and financial planning process enjoyed by larger institutional investors. He observed that technology and product development within the financial industry allowed individuals the same access to many of the same investment disciplines that his institutional clients were utilizing. Since founding the firm, Steve has the pleasure of working with variety of clients, helping them achieve their financial goals. Steve has over 22 years experience in the investment business. 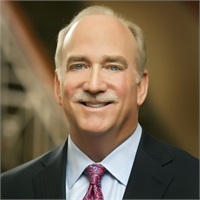 Prior to founding Providence Financial Advisors, LLC, he was a partner in a global investment management firm, representing multiple investment disciplines to clients and investment consultants. Before joining this organization, he was a Vice President and Consultant for a national investment consulting organization. He was responsible for helping clients develop investment policy, asset allocation strategy, conducting investment manager searches and monitoring investment progress. Steve earned the Chartered Financial Analyst (CFA) designation in 1996. He is a member of the CFA Institute and the Kansas City Society of Financial Analyst. Steve is also a founding member of Kingdom Advisors. He serves on the board of The Hope Network and the Finance Committee of the National Christian Foundation Heartland.